How often do you open a jar to get your gravy? It’s something we all do, but making homemade gravy is so much easier than you realize. Tastes better too! Fall is finally here and with it comes cooler temperatures and the craving for comfort food. When it comes to comfort food, gravy is high on the list. It’s rich and adds such a great flavor to mashed potatoes. 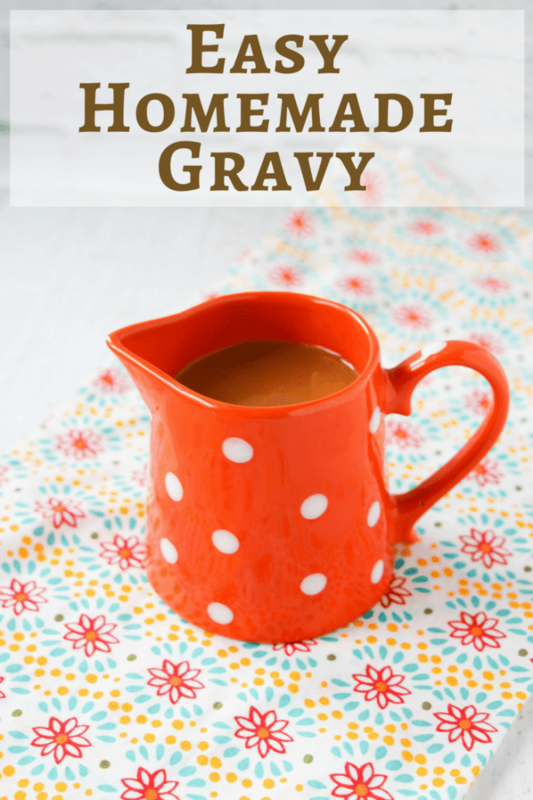 This easy homemade gravy recipe will have you passing up that jar of gravy for the real deal. It's easy to make and delicious. Best of all, you just need to change one ingredient to make different flavors. 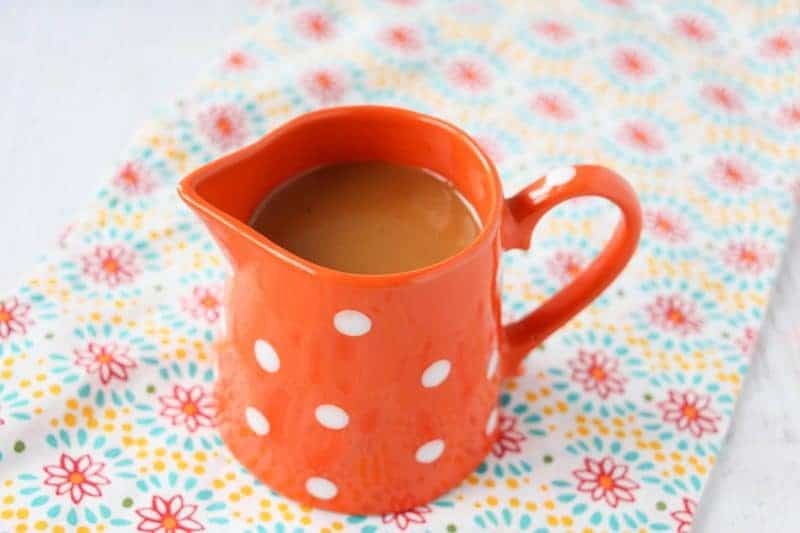 This gravy can be made into a beef, turkey, or chicken gravy. During the holiday season, you can easily find turkey broth to use for this recipe, making it a perfect gravy for Thanksgiving dinner. If you like to make turkey dinners throughout the year for your family, consider stocking up on turkey broth when it’s on sale around Thanksgiving. Once you discover how easy it is to make homemade gravy, chances are you’ll eat store-bought a lot less often. Homemade gravy simply tastes better. It’s also much more affordable. Even when gravy is on sale for a $1 a jar, you’re going to save money making homemade. And, if you’re wondering, you can freeze the gravy for later use. 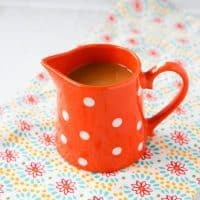 This allows you to enjoy that delicious, comforting taste on your busiest of days. Scrape the drippings from your roasting pan and push through a fine mesh sieve to remove any leftover pieces of turkey. Add to the saucepan. Heat until the drippings are hot, about 2 minutes, and then whisk in the flour. Allow to cook, whisking occasionally, for 2 minutes. Whisk in your broth until you achieve your desired consistency. Mmm!! I LOVE homemade gravy!! Its so super easy but I swear nobody makes it unless it’s the holidays lol!! I have never bought a jar of gravy in my life. Its just so easy to make. I have had gravy that was a little to thick but it was still good. Also I had no idea that you could freeze the left over gravy.